Competitive climber Cara Jenkins feels most at home high off the ground, clinging to a rock wall by the tips of her fingers. She’s enjoyed a roaming life with her mountaineering parents, making the natural world her jungle gym, the writings of Annie Dillard and Henry David Thoreau her textbooks. But when tragedy strikes on an Ecuadorian mountaintop, Cara’s nomadic lifestyle comes to an abrupt halt. "A hot pick for outdoorsy teens who like relatable characters, with a bit of romance, mystery, and a road trip." Detroit is the last place (Cara) expects to heal, but her transformation is convincingly handled in this eloquent debut. The novel is rich in descriptions of the natural world that Cara loves, as well as intricate climbing sequences which describe so much more than the struggle to conquer a rock wall. A cast of complex secondary characters help Cara find her balance and her way back home. This thoughtful novel rises above the label of “sports book” to a contemplative exploration of how we grieve and move forward." The title eloquently captures not only the spirit of this book but also the very essence of adolescence. The teenage main character, Cara, examines this theme throughout and, with any luck, she will inspire readers to do the same. Although this tale is about one of the most risky and exhilarating sports of all, this book is rather quiet, gradual, and sweet. "Cara is strong in body and mind. From the high-stakes beginning we know she's a girl with the grit and focus to overcome anything that Life can throw at her. Life doesn't hold back. Which is when we see that Cara's greatest strength is her heart. This is a richly layered story, visceral and thoughtful in equal parts." "Cara's resilience and strength are as granite hard as the walls she climbs. The Art of Holding On and Letting Go is a beautiful story of testing limits, and the bonds of friendship, family, and love. I was transported into the climbing world -- one I'd never visited before, and I loved what a rich metaphor it was for Cara's journey." 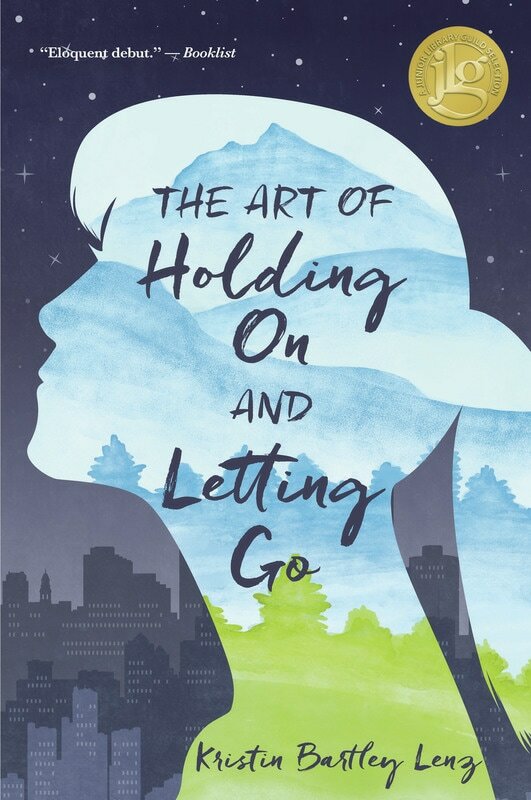 As I read The Art of Holding On and Letting Go, I pegged it as a young adult novel for any age. It had complex ideas of existentialism but could easily be enjoyed by someone just discovering the glorious young adult section. ​There is a sleight at hand at work here. Kristin Lenz got me completely hooked into Cara's struggle to find her place in the world. But somehow, by the home stretch of this book I found myself invested in, and rooting for--not only Cara--but her three new friends, her grandmother and her mom and dad...each of them with their own specific struggle, each with a personal mountain to climb. Not sure how Lenz got me so connected to so many lives, so many individual stories. But she did. This book is wonderful. I co-edit the Mitten, the official blog for the Michigan Chapter of the Society of Children's Book Writers and Illustrators. I also write for Detroit non-profits, including the Skillman Foundation, Neighborhood Services Organization, and the Harvest Magazine published by Gleaners Community Food Bank of Southeastern Michigan. WOW! Women on Writing published my 2nd place Flash Fiction contest winner, Photosynthesis. Literary Mama published my poem, Daughter (Dis)connected. ​A Slice of Detroit Pie, an essay about working as a social worker in Detroit, published by Great Lakes Review. The Power of Butterflies, finalist for the 2011 Hunger Mountain Katherine Paterson Prize for Young Adult and Children's Writing.